and another night we had grilled salmon with baked potatoes. The grilled green tomatoes are a new favorite. 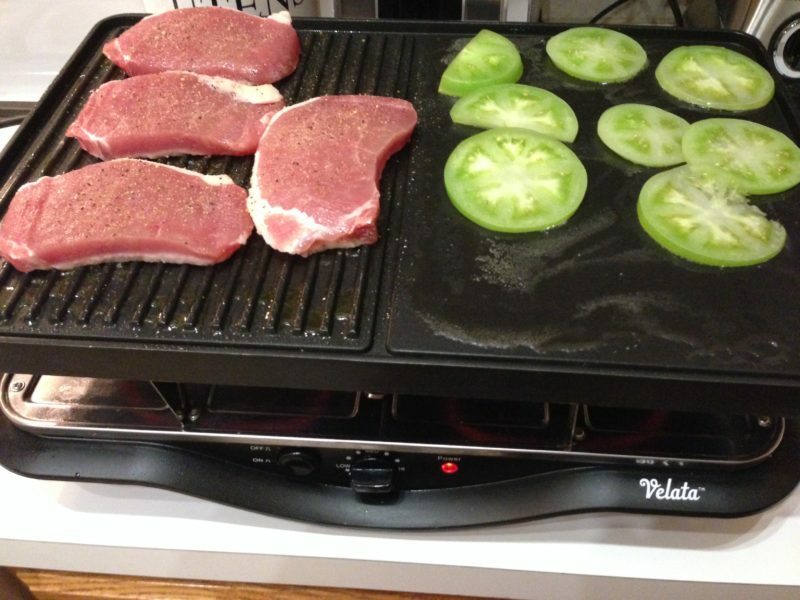 Cooking sliced green tomatoes on an indoor grill really brings their flavor to life, especially in the winter. Another go-to dish to bring everything together is sautéed spinach. Start per usual for sautéed veggies by cooking sliced garlic in olive oil on low. 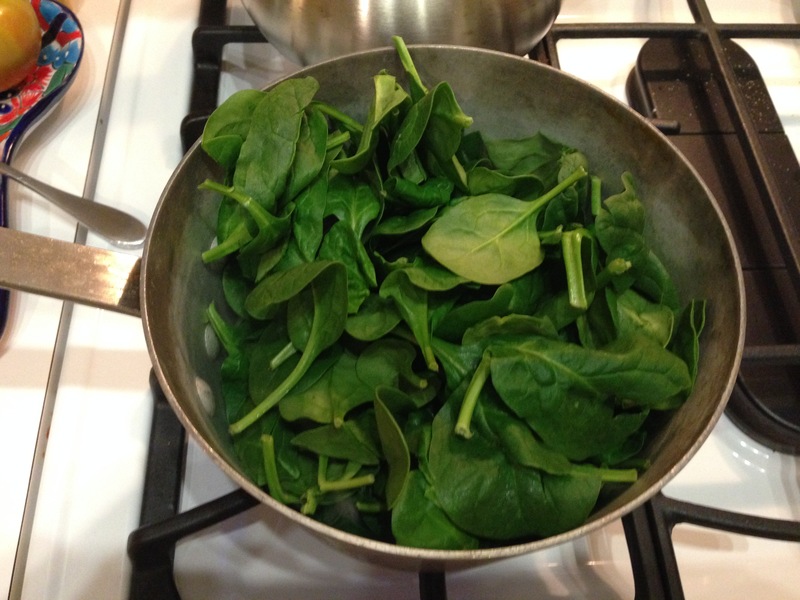 Once the garlic is gold, add spinach (straight from a bag) and a pinch of salt, then cover. About 5-7 minutes later, you should have soft, garlic-y spinach ready to plate. The salmon was in a special weeknight display at the grocery store, which served as a reminder to try to eat a little healthy at this time of year. Granted, it was served with twice-baked potatoes. The cheesy potatoes may just offset the healthiness of the salmon, but that’s OK. That’s kind of the point of the salmon. For the potatoes, I first baked them an hour at 375 degrees. Then I scooped out the middles and placed that potato meat in a bowl with grated parmesan cheese, a dollop of sour cream and spices. 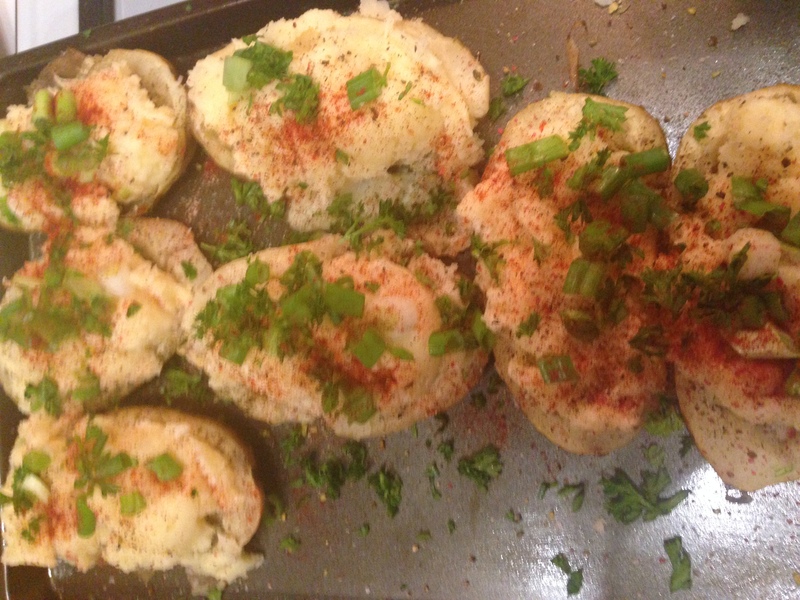 I spread that mixture back into the potato shells and broiled them until the tops took on a nice crust. 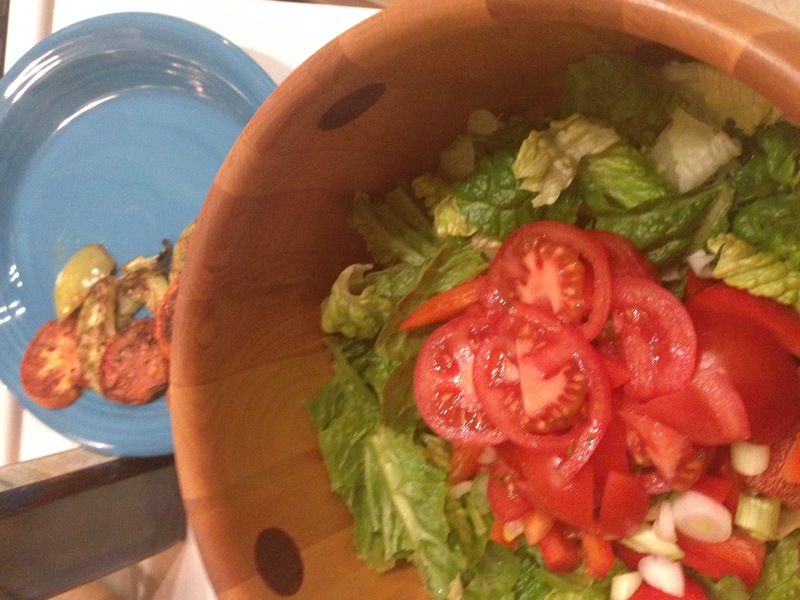 To further ensure you are getting enough vegetables, make a simple salad. Romaine, bell pepper, tomatoes and green onions are easy to gather, chop and toss with any dressing you like, and complement any number of meats or fish.